Motorcycles are, by design, a ride on the wild side. Riders are exposed to the elements and the dangers of the road. Even in the best of situations, riders can be thrown by the smallest surprise in the road. Something as simple as a pothole or puddle of water can be a threat. Any accident large or small can equate to a serious injury or even fatality. Road design has come along way since its infancy. Civil engineers construct roads with careful planning that allows drivers sufficient time to react to their environment as well as any frightening surprises. These safety standards are more important to motorcycle riders than average automobile drivers as their margin of error is so much narrower. Which Hazards are Most Threatening to Motorcyclists? Motorcycles or equipment may be defective in design or production. Wheel problems are especially threatening to the safety of riders. Other defects such as problems with the chain drive or transmission can result in catastrophe. If you or someone you know was injured due to an imbalance at high speed on a Harley Davidson and would like to know your legal rights and course of action, contact our offices immediately. 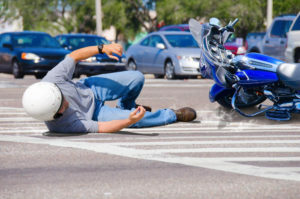 At the Kamran Yadidi Law Group, you will find skilled and compassionate attorneys who really know motorcycle accidents. Since the firm’s creation in 1996, its professional legal representatives have been responsible for handling over 10,000 personal injury cases – at an astonishing 98% success rate. The firm’s hard work and dedication have turned over nearly a quarter of a billion dollars on behalf of its clients. The variety of cases pursued has ranged from vehicular negligence and motorcycle accidents to safety procedural misconduct and violations in the workplace. As a team of elite personal injury attorneys, the firm has also earned gratitude from its clients who have had their lives changed for the better by the team’s counsel. Even if you are not completely sure about your prospects, consult the legal team to determine your best course of action. The team at Kamran Yadidi Law Group specialize in these cases and can provide direction in this or a wide variety of legal issues. At the Kamran Yadidi Law Group, you will find passionate attorneys who specialize in motorcycle accidents. Since the firm’s creation in 1996, its professional legal representatives have been responsible for handling over 10,000 personal injury cases – at an astonishing 98% success rate. The firm’s hard work and dedication have turned over nearly a quarter of a billion dollars on behalf of its clients. Finding the right attorney is no unimportant task. A legal advocate that takes your case to heart and is willing to fight tooth and nail on your behalf can make all the difference. The team at Kamran Yadidi Law Group has a long list of satisfied clients that describe their representation as professional, passionate, and willing to go the extra mile on a client’s behalf. Indeed, Mr. Yadidi is himself an avid motorcyclist; he knows the difficulties riders experience every time they get on the road. It is important to make the right choice where it counts and let the professionals at Kamran Yadidi Law Group fight for you. With an incredible success rate of 98% over the firm’s 10,000 personal injury case history, it’s easy to understand how decades of experience can make a difference in the outcome of your case. So far, it’s resulted in over $200 million paid out to its clients. If you look at the professionalism, experience, and record of Kamran Yadidi Law Group, it becomes clear that clients who want compensation have few better options than Mr. Yadidi. To get started, contact us today by calling the phone number above or visiting our contact page.